There's more than one reason never to leave home without?no, not your American Express card?your smartphone. You never know who or what you might see while you're out and about. Sam Jokich had just such an experience not too long ago. 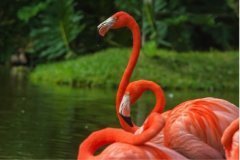 While on an outing, he ran across some flamingos at play. Click the thumbnail above to see the full-size photo. 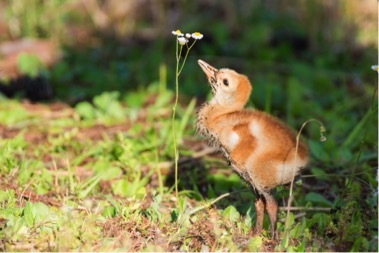 While taking a stroll through the community, Sam came across some newly hatched sandhill crane chicks and their mother one day. View more of Sam’s photos of the baby sandhill cranes. Sam uses a Nikon, but today’s smartphones take outstanding photos. So, if you never leave home without it, you’ll never have to let a good shot go to waste.